The Ice Cream Factory has opened a new branch in West Delhi after their successful launch in Kalkaji last month. Serving an exceptional range of ice cream, shakes, sundaes, stick kulfi, and more at affordable prices, they are all set to win hearts in this area of the city. 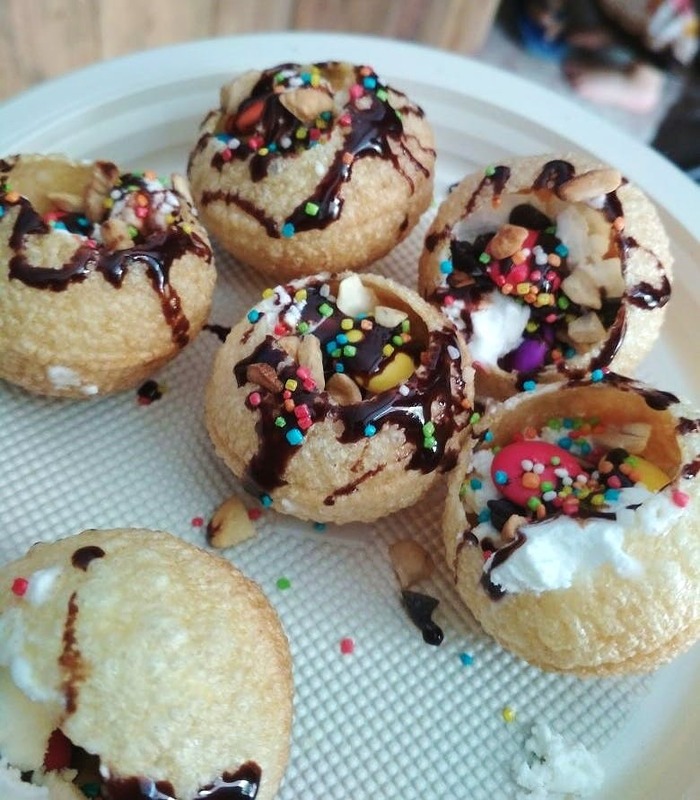 Not just your regular flavours, they are giving desserts a twist with their ice cream in golgappas. Oh, and their Choco Brownie Sundae is SO good that you'll want to visit them again. Wait, there's more - their Orange shake is giving a tough competition to orange bars/popsicles. And I hear that they are adding Popcorn shake to their menu soon. The menu wasn't available when I visited.